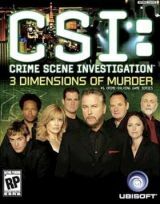 A full overview of all adventure games released in the CSI: Crime Scene Investigation Series. These can be episodes, remakes/remasters or sequels, created by either one or several companies. As long as the IP is used, we'd quantify this as part of a 'series'. 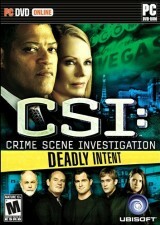 In five connected cases, team up with the cast of CSI: Crime Scene Investigation, along with help from FBI agent Gene Huntby, not only to solve some of the most gruesome crimes of Sin City, but also to take down a dangerous drug cartel. A fingerprint… a bite mark… a human toe. 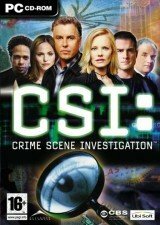 Team up with the entire cast of CSI and a new improved crime lab to track down the heinous truth in five complex new crimes. No crime is ever perfect. Your job is to find the flaw. The new cast of CSI Season 9 comes to Nintendo's handheld. Not a port of the PC and console version, The Hidden Cases offers exclusive features that let playes solve a series of bizarre cases through an enhanced questioning system and game mechanics with unique touch gameplay. 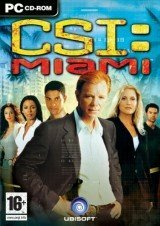 CSI: Miami will lead you down the slippery trails of evidence into the steamy world of Miami’s beaches and nightclubs. 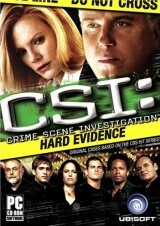 Join the cast and use their high-tech crime lab to find the truth and dissect the criminal mind. 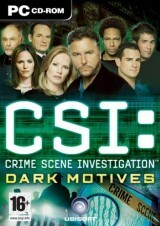 Master the tools, solve the crime. A murdered woman... a slain police officer... a mysterious arson case. What is the link between these unsolved crimes? 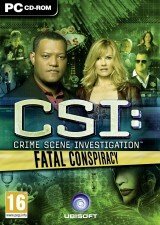 Break down the evidence and hunt for the truth with Grisson, Catherine, and the entire CSI team. Don't just watch the action. Live it.